1. In a large saucepan over medium-high heat, add oil. Once hot, add onion and saute until softened and browned. Add garlic, ginger, chile flakes and lemongrass and stir for 1-2 minutes, until fragrant. 2. Add the lentils, squash and cover with water/stock and simmer until the lentils and squash are soft and tender and the squash has collapsed, around 30-45 minutes. 3. 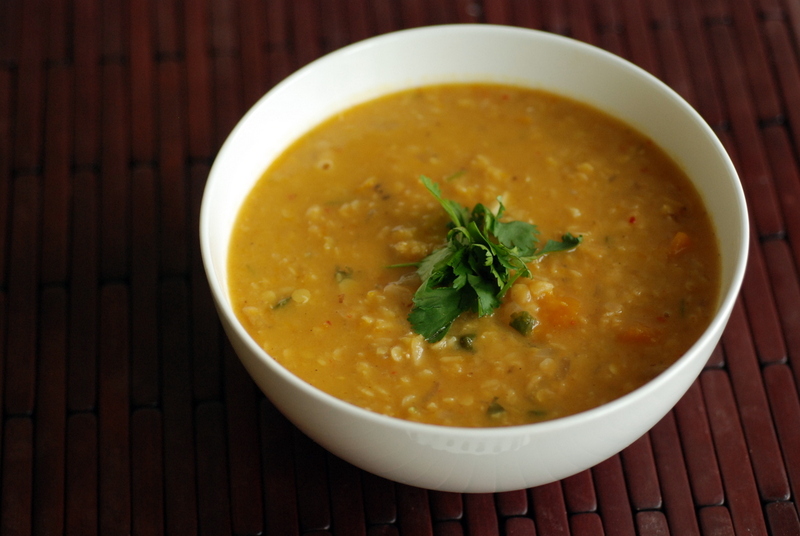 Stir in the coconut milk, tamarind and the majority of the cilantro. Taste for seasoning, soy sauce, lime juice and tamarind. Sprinkle with cilantro and serve warm. Our cold is back too – and with it a foot of snow! I just keep reminding myself that I get to visit Phoenix next month… This soups looks so warming! Love this soup idea. I made chili, but this needs to be next on my list. Kabocha and coconut milk are two of my favorites! Oh man, if the vortex comes back again, I might cry. Really. Good thing I have this soup recipe now! And a kabocha sitting on my counter. I love this soup Janet! So many of my favourite things! That’s awesome you are able to bike so much! I have been keeping up with my walking everywhere over here despite the cold but it hasn’t been easy! Good thing I invested in very warm winter wear this year! The soup is filled with so many of my favorite flavors — kabocha, tamarind, aleppo pepper — sounds great! I hope you have lots more clear days for cycling. Janet, this soup looks and sounds soooo warm and delicious! I absolutely love lentils, so this is right up my alley. I’ve never had lemongrass or those chili flakes…but they sound incredible! 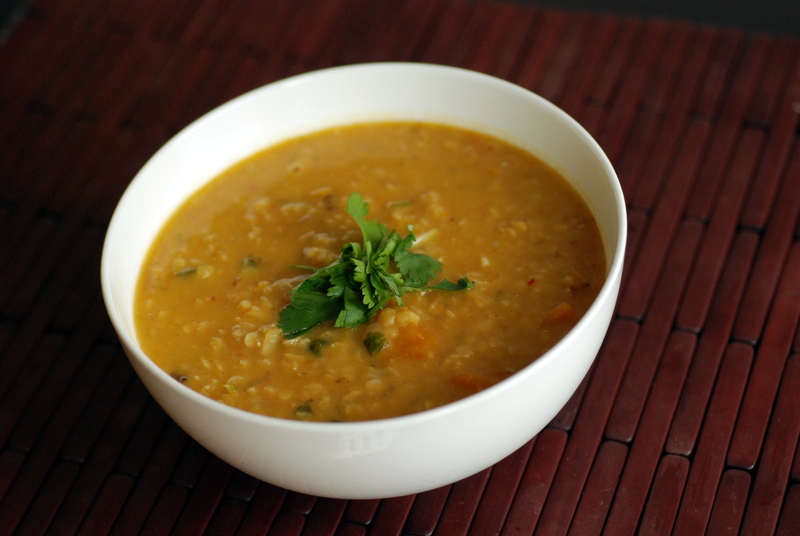 Im absolutely loving soup right now as it is so cold here in the UK and this lentil soup looks so warming and delicious! Its on my recipe ‘to-do’ list – thank you! I would be very happy with a giant bowlful of this soup whatever the weather. Winter squash, gotta love it! So excited—one of the Korean markets had kabocha squash for 50 cents a pound! It always seemed so incredibly pricey before (especially when it was a tremendous squash). This soup sounds wonderful—will see what other k squash recipes you have since I am already having a coconut milk and lentil stew on Saturday. Don’t know m/any people who can understand why I am so happy to have finally scored this squash and have it sitting proudly on my kitchen counter! The weather here seems very confused – it keeps fluctuating between being freezing and then warming up a bit again. I can’t imagine living in 26 degree heat in January though! I love the sounds of this soup, especially the addition of lemongrass. 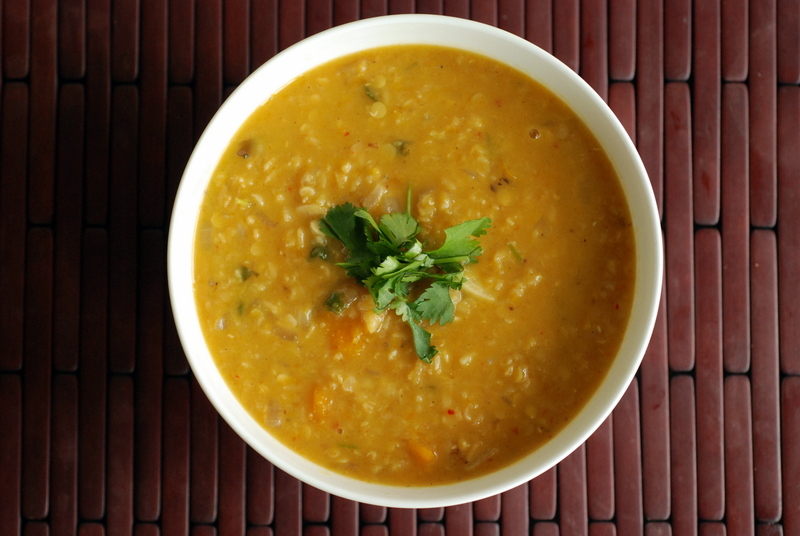 Red lentils and squash go together so well too! 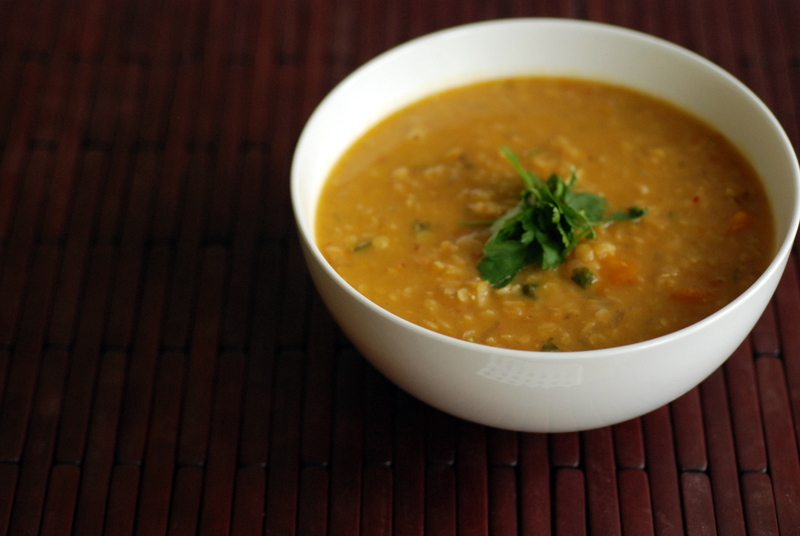 Mung bean curry is my favorite, but unfortunately no one in my family likes it. I love the fact that you have used coconut oil. I want to try it with coconut oil. More mung beans for you then? I think they get a bap rap but they are actually really nice. Made this soup tonight. First time I have ever used lemon grass. Love it!! I think I added a wee bit too much ginger, but the soup was still great! Already looking forward to making it again. I wasn’t able to find kobacha so I used butternut. I will have to hunt down kabocha squash, though, to see how the flavours differ.